Though country singer Rodney Atkins didn’t get his first guitar until one Christmas in high school, he took to the instrument instantly and was soon playing anywhere he could around his Cumberland Gap, Tennessee, home. While at college at Tennessee Tech, Rodney used the opportunity to go into Nashville as often as he could, and by the time he graduated, he was starting to make himself known as a performer in the area. 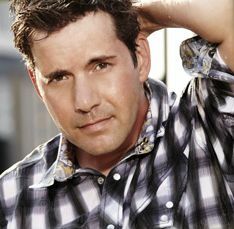 Rodney Atkins will make his AMT debut on Wednesday, March 20. Country artists Josh Thompson and Tyler Farr will open for Rodney, providing a full night of top-notch country music for area fans.